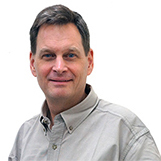 The Weaving Machine of the Industrial Revolution - CivilGEO, Inc. Most of us are familiar with the famous computer scientists/entrepreneurs of the 20th and 21st centuries. Bill Gates, Steve Jobs, Sergey Brin and Larry Page are just a few. These are the guys that first made personal computers and Internet-based technologies accessible to the masses. But who were the individuals who first imagined a machine that could compute and manipulate numbers and abstractions in the way that we know modern computers do today? The Industrial Revolution ushered in the most basic machines poised to replace human power at the assembly line. The factory system and its component parts, powered by steam and simple engines, gained momentum. This period in history, which had its start in the heart of the manufacturing districts of England, is unfamiliar to many, but without a doubt this was a time of great change. This article summarizes the story of two mathematicians/scientists who imagined a machine that could do more than just perform simple computations or automate parts of an assembly line. 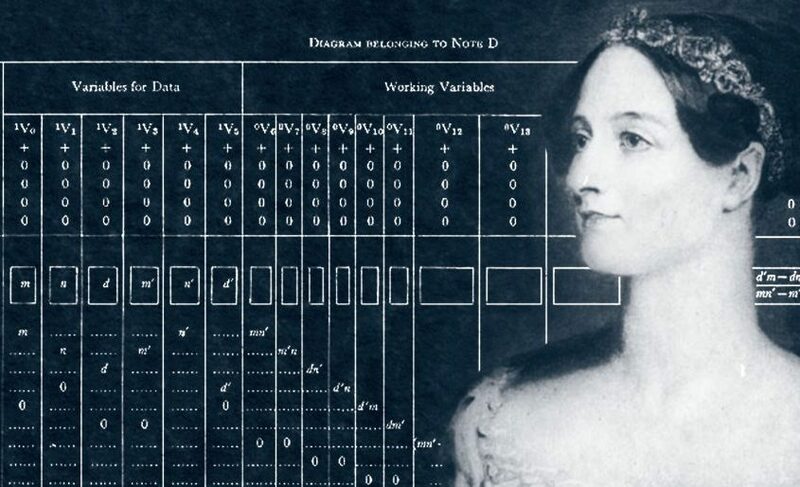 Ada Lovelace and Charles Babbage collaborated in conceiving what could be regarded as the first computer program and first computer. This is their story. 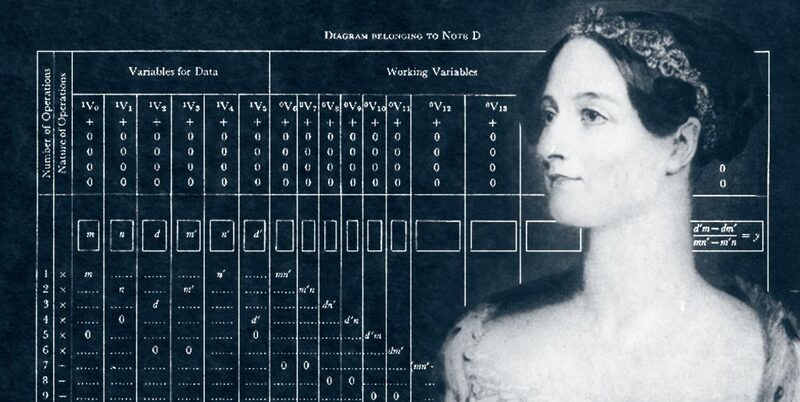 Ada Lovelace was born in London in 1815. She was the daughter of the late romantic poet Lord Byron. Her mother was concerned that this young, bright, imaginative girl would turn out to be as reckless as her famous father and had her tutored in math to quiet any impulsive tendencies. Ada loved math and developed a solid mastery of the subject. It was when she was still a teenager that she first became acquainted with Charles Babbage, an inventor and well-known scientist of the day, who on a regular basis invited a diverse assemblage of people to his home for discussions, demonstrations and readings. It was at one of these meetings that Babbage unveiled a machine he had put together called the Difference Engine. It was a mechanical piece that performed a variety of calculations as its arm was crudely moved back and forth. This engine could solve polynomial equations and adjust its manner of calculation given a change in instruction. This was Ada’s first introduction to a machine that could perform basic mathematical calculations and it immediately impressed her. She and Babbage became friends and continued to write to each other about the possibilities presented by this new machine. It was around this time that on a trip to an industrial region of Britain, she saw an automated weaving loom developed by Joseph Marie Jacquard. This loom used punch cards to direct the course of the pattern that was woven into the fabric, each card corresponding to one line of the design. The cards were strung together, allowing a complete design to be woven automatically. The intricate workings of this machine would shape Ada’s vision for the workings of a modern-day computer. One of Ada’s math tutors, Augustus de Morgan, introduced her to the concept of symbolic logic. Ada called mathematics “poetical science”; she was charmed by numbers and the ability of equations to complete a picture. She pronounced that “math constitutes that language through which alone we can adequately express the great facts of the natural world.” Ada represented a perfect pairing of imagination and science and she was in many ways the quintessential mascot of the Industrial age (Isaacson, 2014, pg. 18). She was impressed by many of the inventions that characterized this great time of curiosity and discovery. She was enchanted by the prospect of what the future could bring. According to one account, one day Charles Babbage was struggling with compiling a table of logarithms. He was finding error after error and in his frustration declared, “I wish to God these calculations had been executed by steam,” (Isaacson, 19). Encouraged by his friends to try, Babbage began tinkering with the idea in the early 1820s. He noted that mathematical computations could be broken down into steps, much like one could break down the steps of a manufacturing process. He wrote, “I conceived all of a sudden the idea of applying the same method to the immense work with which I had been burdened, and to manufacture logarithms as one manufactures pins.”(Isaacson, 20). Ada was taken with the countless possibilities presented by the machine. Not only could it process numbers, but it could manipulate symbolic language as well. Although Charles Babbage was the “engineer” behind the machine, physically assembling its mechanical parts, the engine was never completely built. Nonetheless, many attribute to him the title of the inventor who developed the first modern computer. Historians attribute to Ada many of the visionary ideas and capabilities of the computer. Ada published in 1845 a transcription of the meeting at which the engine was first discussed. However, it was her own personal commentary on the engine that brought her fame. One of her key ideas was that the computer would do more than process simple computations. She envisioned an engine that would perform an endless variety of tasks and computations, the different configurations of which would depend on the programmed directives. This is the main characteristic that set the Analytical Engine apart from Babbage’s original Differential Engine. “The bounds of arithmetic were outstepped the moment the idea of applying cards had occurred. The Analytical Engine does not occupy common ground with mere ‘calculating machines.’ It holds a position wholly its own. In enabling a mechanism to combine together general symbols, in successions of unlimited variety and extent, a uniting link is established between the operations of matter and the abstract mental processes.” (Isaacson, 2014, pg. 15). Another significant idea of Ada’s stems from her early work with her teacher of abstract logic. She points out that numbers are not the only variable that can be manipulated in such an engine, but rather that other symbols can be manipulated as well. This is what sets apart the potential of this machine from that of an ordinary computing device. The analytical machine, like today’s computer, can operate with other languages as well, symbolic and otherwise. Ada describes this thought as well, when she writes, “by the word ‘operation,’ we mean any process which alters the mutual relation of two or more things, be this relation of what kind if may.” (Isaacson, 2014, pg. 27). Walter Isaacson, in his book, The Innovators, succinctly points out Ada’s contribution: “This insight would become the core concept of the digital age: any piece of content, data, or information-music, text, pictures, numbers, symbols, sounds, video-could be expressed in digital form and manipulated by machines. Ada realized that the digits on the cogs could represent things other than mathematical quantities. Thus did she make the conceptual leap from machines that were mere calculators to ones that we now call computers.” (Isaacson, 2014, pg. 28). Finally, Ms. Lovelace arguably detailed the first algorithm or computer program when she set forth a series of directives to figure out a sequence of Bernoulli numbers. Her chart also included directions for how to feed the program into the machine in a chronological fashion using a set of concepts familiar to programmers today such as recursive loops and subroutines and branching. Although Charles Babbage had conceptualized many processes the engine could execute, Ada’s notes on programming were eventually published. Isaacson, Walter (2014). The Innovators: How a Group of Hackers Geniuses, and Geeks Created the Digital Revolution, New York, New York, Simon & Schuster.